In the formerly published part I of this two-part review, we examined fatigue after soccer matchplay and recovery kinetics of physical performance, and cognitive, subjective and biological markers. 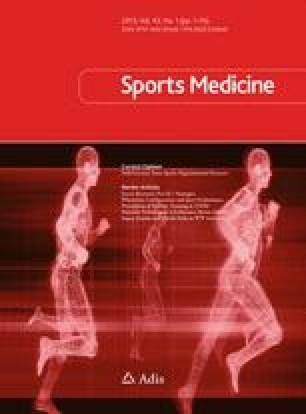 To reduce the magnitude of fatigue and to accelerate the time to fully recover after completion, several recovery strategies are now used in professional soccer teams. During congested fixture schedules, recovery strategies are highly required to alleviate post-match fatigue, and then to regain performance faster and reduce the risk of injury. Fatigue following competition is multifactorial and mainly related to dehydration, glycogen depletion, muscle damage and mental fatigue. Recovery strategies should consequently be targeted against the major causes of fatigue. Strategies reviewed in part II of this article were nutritional intake, cold water immersion, sleeping, active recovery, stretching, compression garments, massage and electrical stimulation. Some strategies such as hydration, diet and sleep are effective in their ability to counteract the fatigue mechanisms. Providing milk drinks to players at the end of competition and a meal containing high-glycaemic index carbohydrate and protein within the hour following the match are effective in replenishing substrate stores and optimizing muscle-damage repair. Sleep is an essential part of recovery management. Sleep disturbance after a match is common and can negatively impact on the recovery process. Cold water immersion is effective during acute periods of match congestion in order to regain performance levels faster and repress the acute inflammatory process. Scientific evidence for other strategies reviewed in their ability to accelerate the return to the initial level of performance is still lacking. These include active recovery, stretching, compression garments, massage and electrical stimulation. While this does not mean that these strategies do not aid the recovery process, the protocols implemented up until now do not significantly accelerate the return to initial levels of performance in comparison with a control condition. In conclusion, scientific evidence to support the use of strategies commonly used during recovery is lacking. Additional research is required in this area in order to help practitioners establish an efficient recovery protocol immediately after matchplay, but also for the following days. Future studies could focus on the chronic effects of recovery strategies, on combinations of recovery protocols and on the effects of recovery strategies inducing an anti-inflammatory or a pro-inflammatory response.